She was born Veronica Yvette Bennett in New York City. From an early age, she took to singing, encouraged by her large, close family. 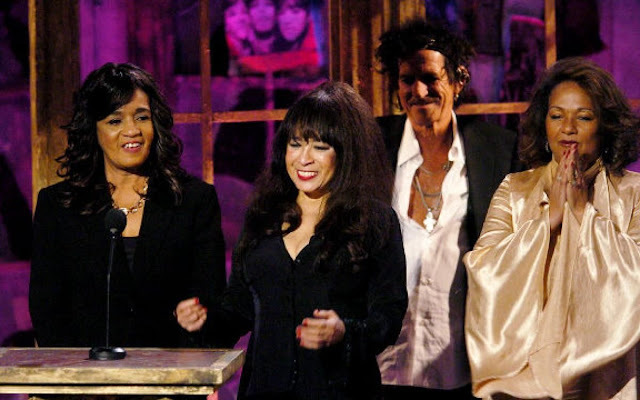 The other members of the Ronettes, her sister, Estelle Bennett (1941-2009), and cousin, Nedra Talley, were also encouraged to sing by their family. 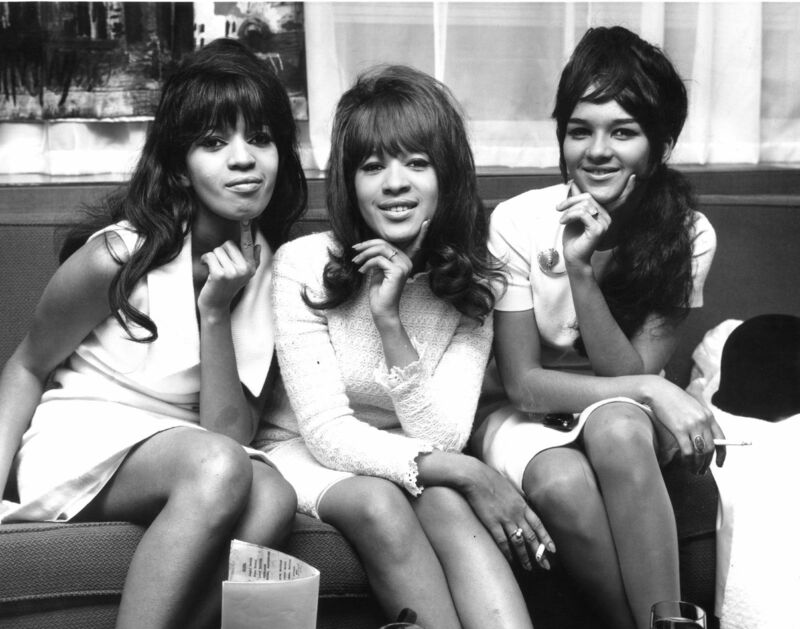 The Ronettes were a multiracial group. The Bennetts' mother was African-American and Cherokee, and their father was Irish; their cousin, Nedra Talley, is African-American and Puerto Rican. Ronnie was married to Phil Spector from 1968 to 1974, and took his name professionally; they adopted three children, including a set of twins. By her account, Phil kept Ronnie a near-prisoner and limited her opportunities to pursue her musical ambitions. In her autobiography, she said that he would force her to watch the film Citizen Kane to remind her she would be nothing without him. Spector's domineering attitude led to the dissolution of their marriage. Ronnie was forbidden to speak to the Rolling Stones or tour with the Beatles because Phil Spector feared that she would be unfaithful. 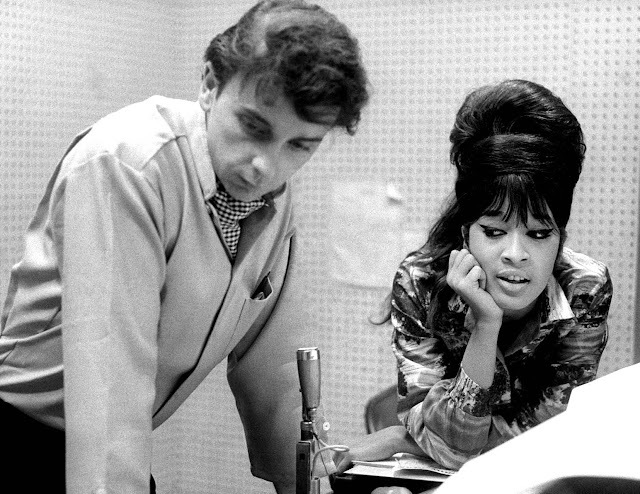 Ronnie claims Spector showed her a gold coffin with a glass top in his basement, promising to kill and display her if she left him. During Spector's reclusive period in the late 1960s, he reportedly kept his wife locked inside their mansion. She claimed he also hid her shoes to dissuade her from walking outside, and kept the house dark because he did not want anyone to see his balding head. Ronnie stated in her autobiography that she walked out of the house through the closed and locked rear sliding glass door, shoeless, shattering the glass as she left, and feet all cut up by the time she got to the gate. She never returned. 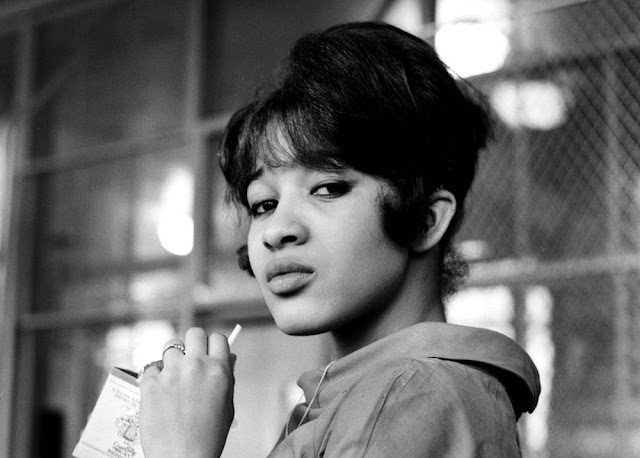 Ronnie Spector filed for divorce in 1972. She wrote a book about her experiences, and said years later: "I can only say that when I left in the early 1970s, I knew that if I didn't leave at that time, I was going to die there." She and Spector separated in 1973 and divorced one year later. In August 2011, former lovers Keith Richards and Ronnie Spector still have a thing for each other, says Spector, but their relationship now is strictly platonic. Spector, who played a pivotal role in Rolling Stones history, told the Hartford Courant that she and Richards still innocently flirt with each other: "I was just with him like three or four months ago. He has a basement with a studio down there, so he'd get me in the corner and say, 'Ronnie, you know I'm — ' And I said, 'Hey! Your wife is upstairs. What are we going to do?' So we still carry that torch, but no hugging or kissing or stuff like that." Rolling Stones guitarist Richards and singer Spector had a passionate romance when his group (the Rolling Stones) and her group (the Ronettes) toured together in 1964. Spector, who was unmarried at the time and going by her maiden name (Ronnie Bennett), was one of Keef's’ first loves, he said in his autobiography "Life."